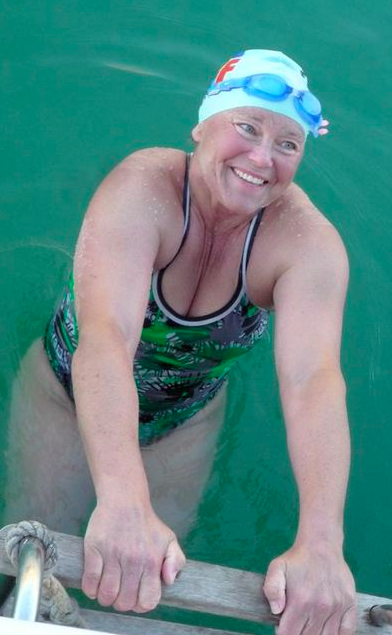 Dr. Marcella 'Marcy' MacDonald is the most recent dual inductee in the International Swimming Hall of Fame (Class of 2019 Honor Open Water Swimmer) and the International Marathon Swimming Hall of Fame (Class of 2005 Honor Swimmer). Known as The American Queen of the English Channel, she was also named as one of the World's 50 Most Adventurous Open Water Women in 2015 and nominated for the 2011 World Open Water Swimming Woman of the Year. A dual honoree is an individual who has been honored in at least two aquatic Halls of Fame. These Halls of Fame can include state, regional, domestic or international halls. These Halls includes the International Swimming Hall of Fame, International Marathon Swimming Hall of Fame, the International Masters Swimming Hall of Fame, Hawaii Swimming Hall of Fame, Vermont Open Water Swimming Hall of Fame, Ireland Marathon Swimming Hall of Fame, Aquatic Hall of Fame and Museum of Canada, Hawaii Waterman Hall of Fame, Ice Swimming Hall of Fame, etc.